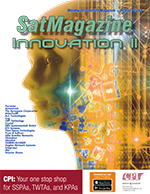 A major 37-page report released on August 6 from equity analysts at investment bank Jefferies stated that the proposed restructuring of scarce satellite C-band frequencies over the U.S. in order to help drive adoption of 5G cellular telephony could result in a $10 billion cash windfall — “at least” — for the two main proponents of the scheme, SES and Intelsat. Cautious the bank may be, but nevertheless, it values the benefit to SES and Intelsat as being worth some $3.5 billion, net, to each operator. However, if the FCC and the SES/Intelsat consortium agree to reassign 200 MHz (currently only 100 MHs is on the table) and that a price of $0.50 per MHz ‘pop’ (a standard industry measurement, where 1-Pop equates to one MHz of bandwidth passing one person in the coverage area in a spectrum license) is reached, then the rewards to SES and Intelsat could be far greater. Kerrisdale is correct, and SES CEO Steve Collar, speaking to analysts during the SES results announcement on July 27, as good as admitted that 100 MHz would not be the end of the story. Collar told analysts that SES wanted to be flexible. Collar was, however blunt — “We couldn’t live with anything short of what we propose,” referring to the freeing up of 100 MHz of C-band spectrum. But it is quite likely that the FCC will be seeking 200 to 300MHz of spectrum, and Collar admitted that SES (and, presumably, Intelsat) were also working on that range of spectrum, but firmly declined giving away any more detail. Spengler explained the FCC process. “The July 12 open meeting of the Federal Communications Commission provided insight into progress on our breakthrough market-based proposal to enable terrestrial mobile use of the C-band spectrum in the United States. We are pleased with the positioning of our proposal in the Notice of Proposed Rule Making (NPRM) which was distributed the following day. “The comment and reply phase of the SEC rule making process will open shortly. During this phase we and our partners on the proposal will focus on four key areas as we continue to advocate for adoption of our proposal. First, we will streamline our implementation plan. We recognize that speed differentiates our proposal. Speed is key to minimizing disruptions to our business and to our customers operations. Speed is also essential to accelerate the $500 billion in potential U.S. economic growth expected to be generated from 5G deployments. 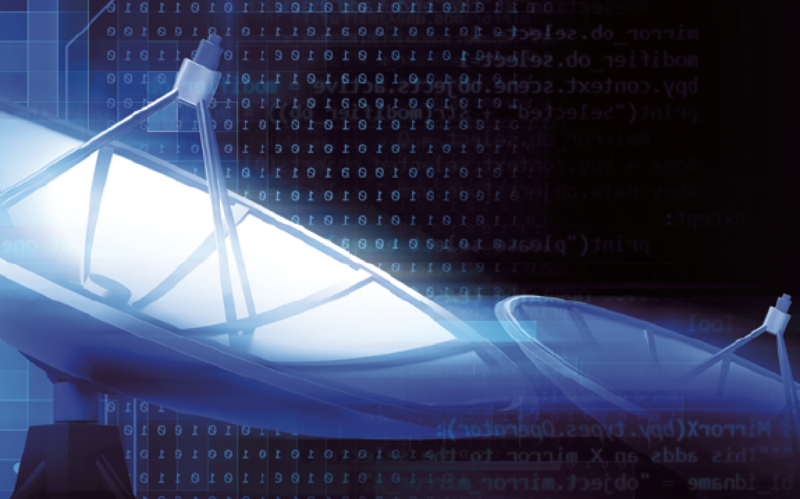 We are confident that our proposal offers the fastest path to cleared spectrum. “Second, we’ll refine the technical aspects of our proposal. Our proposal must balance the need to maximize the amount of spectrum we can clear and also ensures service continuity and continued reliability for our customers. It is the combination of these elements that optimize the public benefit of the spectrum. “Third, we will work with our customers and the various associations to build additional definition around the role of the satellite operator consortium. Our goal is to ensure that these stakeholders are as confident as we are in the operational and cost reimbursement considerations of interference mitigation. While Kerrisdale might be considered more of a ‘promoter’ than a balanced and impartial observer, the equity analysts at Jefferies are a little more hard-nosed; however, their August 6 report is hugely optimistic. Jefferies gives Intelsat a share target price of an impressive $32 (not bad, given that a more typical price as recently as March 2018 was less than $4 a share). Jefferies gives SES a target price of 26 euros. That’s a spectacular number and the timetable currently being proposed means that some of that bonus/windfall revenue stream could start flowing to Intelsat and SES (and, to a lesser extent, Eutelsat and probably Telesat of Canada) as early as 2020-2021, and certainly within 18 to 36 months of a favorable FCC decision. Senior Contributor Chris Forrester is a well-known broadcast journalist and industry consultant. He reports on all aspects of broadcasting with special emphasis on content, the business of television and emerging applications. He founded Rapid TV News and has edited Interspace and its successor, Inside Satellite TV, since 1996. He also files for Advanced-Television.com. In November of 1998, Chris was appointed an Associate (professor) of the prestigious Adham Center for Television Journalism, part of the American University in Cairo (AUC).